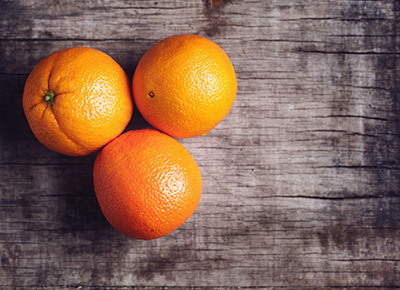 NEXT ARTICLEWait, Why Is Everybody Suddenly Eating Oranges in the Shower? Let’s talk about breakfast skillets. What if there were a diet that allowed you to eat all of the cheese, eggs and bacon you wanted and still lose weight? Meet the ketogenic diet, or the “keto diet” for short. So what is it? In a nutshell, it’s a high-fat, moderate-protein, low-carb diet, for which you restrict your carb intake (usually to 50 grams or less—some people go as low as 20) so your body reaches a state of ketosis (hence, the name). At ketosis, you’ll start to burn through existing stores of fat for energy, which leads to faster weight loss. OK, so can I really eat all of the cheese? Yup. And meat, as well as healthy fats like those found in nuts, seeds and avocados. Sounds awesome. What’s the catch? For starters, it is still a diet—meaning, even though you’re allowed to eat cheese and bacon, you should still be keeping an eye on the calories if you want to lose weight. And since carbs provide immediate fuel for us, cutting back on them can make you feel sluggish or even cranky between meals. Also, for ladies who exercise at a high intensity (calling all spinners or CrossFitters), a lack of carbs can make it harder for you to push through your normal workouts. Bottom line: According to a study conducted at the University of Padova, a keto diet is probably best as a short-term solution or jumping off point for weight loss since the results are more immediate. But seeing as how even fruits and vegetables need to be restricted in order to keep your carb intake low, it’s difficult to sustain long-term. Also, breakfast skillets are great, but breakfast sandwiches (in moderation) just might be better.